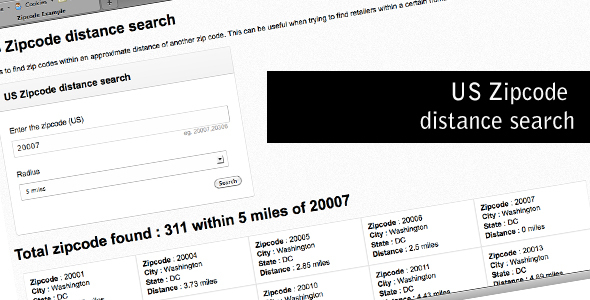 Script to find zip codes within an approximate distance of another zip code. This can be useful when trying to find retailers within a certain number of miles to a customer. The script is very useful for Dating, Online Shopping and local search engine websites.